The Hollywood Vampires are streaming a video recap of their 2018 tour. The trio of Alice Cooper, Johnny Depp and Aerosmith guitarist Joe Perry, the band launched the run with a May 17 show in Verona, NY as part of a series of four casino shows in North America before playing a 6-week European tour. The summer dates included a mix of headline shows and appearances at festivals in the Czech Republic, France, Belgium and Italy, among others before wrapping up in Rome on July 8. Conceived by Cooper, Hollywood Vampires celebrates the spirit of the original drinking club of the same name that gathered at the upstairs bar of the Rainbow Bar & Grill on Sunset Strip, Los Angeles from 1972, of which Cooper was a founding member. Attendees would include the likes of John Lennon, Harry Nilsson, Keith Moon, Bernie Taupin, Jim Morrison and Mickey Dolenz. 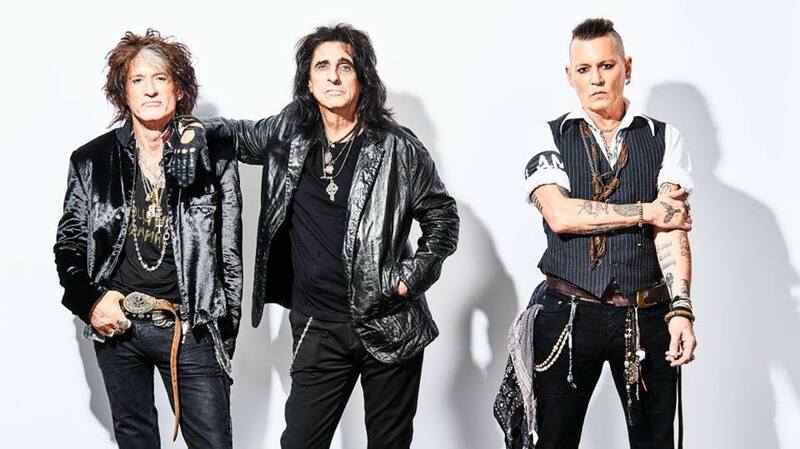 The Hollywood Vampires issued their self-titled debut in 2015, which featured a collection of covers of tracks by T. Rex, Jimi Hendrix, Led Zeppelin, The Who, The Doors and more; the group have been writing original material for a follow-up release.